Godox AD200 is with speedlite flash head and bare bulb flash head, offering you diverse lighting effect by attaching different light. There will be more possibilities for you to match Godox AD200 with different light accessories. 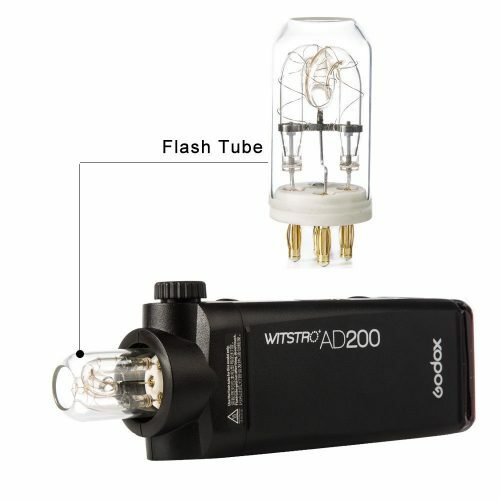 Flash bulb for Godox H200J is a bare bulb with a guider number of 60 at ISO 100 after connecting with flash head. Flash duration is 1/220 to 1/11300 seconds.